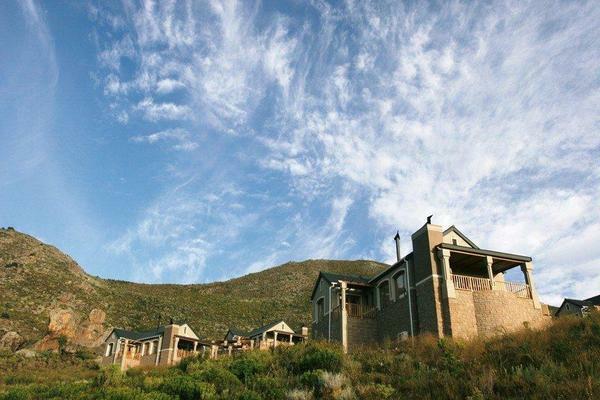 ATKV Goudini Spa Slanghoek Villas is a 4* property that is situated in the heart of Rawsonville (Worcester, Western Cape).This 4* property offers accommodation in Slanghoek Villas (twenty two units and eight units) that all come fully equipped. 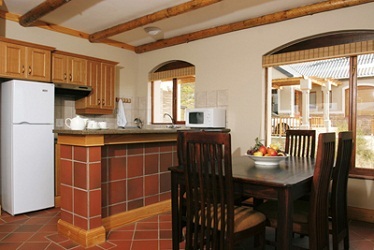 Worcester is ideally located only 96km away from Cape Town which offers a few things to see and do including visiting the many restaurants and shops in close proximity, hiking, mountain biking, sailing, deep sea fishing, parasailing, bird watching, game viewing, V&A Waterfront, Boulders Bay, Two Ocean’s Aquarium, take a cruise to Robben Island, City Centre, Camps Bay, Bo Kaap, Boulders Beach, Constantia Wine Route, Cape Point Nature Reserve and Kirstenbosch Botanical Gardens. 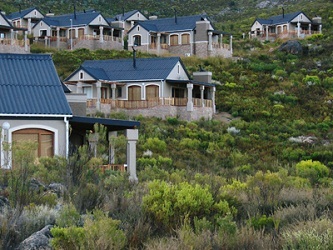 This 4* property offers accommodation in the twenty two self catering Slanghoek Villas that come fully equipped with three bedrooms, double and twin size beds, two bathrooms, one bathroom with bath and one with shower, air conditioning, each room has a private veranda, lounge with fireplace, veranda with braai facilities and each unit can sleep up to six people comfortably.The eight self catering units come with three bedrooms, double and twin beds, air conditioning in living area, veranda and braai facilities. Cancellations longer than 30 days before the date of arrival will forfeit 25% of the required deposit.Cancellations between 16 to 29 days of the date of arrival will forfeit 50% of the required deposit. 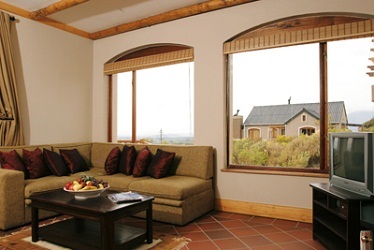 Cancellations between 0 to 15 days of the date of arrival will forfeit 100% of the required deposit. In the event of cancellation as a result of death (or other acceptable reasons beyond the control of the party involved) only an administration fee of R50 will be charged upon submission of substantiating evidence. 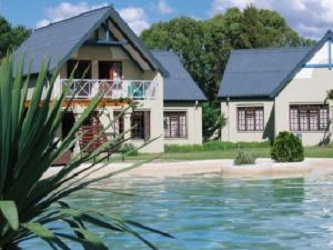 for ATKV Goudini Spa Holiday Resort - Slanghoek Villas & Boland Chalets.